It’s been 25 years since the first SMS message was sent. Since then texting has turned into a multibillion-dollar business. And SMS marketing is having a positive impact on the revenues of small businesses. Economic forecasts for 2019 predict mobile ad spending will hit the $200 billion mark. And as more companies invest in SMS messaging services, mobile marketing is a powerful tool small business owners cannot afford to ignore. The statistics for SMS marketing are phenomenal. Over 90% of messages are opened within 15 minutes and have a click-through rate of between 36% and 43%. Other aspects of text marketing that appeals to small businesses owners is cost, speed and efficiency. SMS messaging services are among the most cost-effective advertising platforms and the quickest way to reach an audience. Over 95% of consumers residing in the United States own a mobile phone. Not only that, but 31% say they prefer to receive a text message from brands over other channels of communication. This puts many small businesses in a strong position, not only for marketing purposes, but also for improving customer service. Subsequently, you improve customer loyalty and increase revenue. SMS messaging is an opt-in service. This means customers have a choice whether they want to hear from brands and receive your offers or engage with your content. Because SMS marketing is a personal choice, brands have more opportunities to deliver a superior service and provide your most valued customers with special offers. Having an SMS marketing strategy is crucial. First of all, your offer has to be appealing enough to encourage customers to opt-in. Once you have people on-board, the goal is to retain them on your list of contacts and persuade them to accept your special offers. Be sensible with your approach. Consumers are inundated with advertising from all angles. People don’t want to be bothered by brands on their mobile phones as well. That’s not to say consumers do not want to receive offers by text, they just don’t want to receive too many. The number of text messages you send will depend on your business. Ordinarily, two or three texts a month is sufficient. However, if you run a business that consumers use less frequently, such as massage, hair dressers, mechanics, dentists etc, schedule texts for appropriate timescales in which customers are most likely to require your products or services. There are many ways you can utilise text message services. Not every message you send has to be an advertising campaign. You can use texting to remind people of appointments, events, notify them of an email or invite them to visit your website. As mobile technology improves, marketers have more opportunities to make SMS marketing messages engaging. And with the capacity to run a wide range of marketing campaigns, the more potential you have of increasing sales and retaining customers. The majority of mobile marketing campaigns involve keywords and short codes. This tactic makes it easy for marketers that are new to SMS messaging services to understand the technology and test the water. Coupons and QR codes are also another simple and effective method that invite customers into your store to purchase discount goods. Coupons and QR codes provide a convenient service for shoppers too, especially if they are taking advantage of mobile wallets. You can also embed links, images and videos into SMS messages. Videos are a great way to drive engagement on mobile devices, whilst links bring traffic to your online store and can help improve your rank in search engines. The digital age provides marketers with a multitude of advertising platforms, many of which can be used in tandem to maximise your marketing efforts. SMS is no exception. For example, you can send a text to draw attention to an email campaign or newsletter, or even a competition you are running on social media. Not every SMS message you send has to be an offer. You can use texting to provide your customers with relevant information. 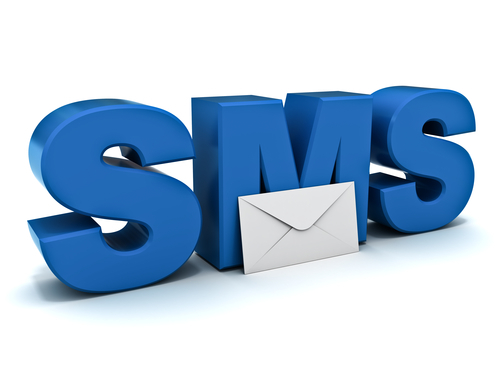 SMS is an effective way to strengthen customer relations and raise brand awareness. If you are considering using a text messaging service to give your small business a boost, contact JookSMS today.